If you’re in Vancouver and want to borrow a few games, just email me. Organize a lunch-and-learn with your team to introduce the concept of technical debt. Illustrate it with examples from your own projects, if possible. Create a category “TechDebt” in your issue tracking system, distinct from defects, or new features. Point at the specific artifacts involved. Standardize on one single form of “Fix me” or “Fix me later” comment in the source code to mark places that should be revised and improved later. They will be easier to spot with a tool. Acquire and deploy in your development environment a static code analyser to detect code-level “code smells”. (Do not panic in front of the large number of positive warnings). Prioritize technical debt items to fix or refactor, by doing them first in the parts of your code that are the most actively modified, leaving aside or for later the parts that are never touched. Organize small 1-hour brainstorming sessions around the question: “What design decision did we make in the past that we regret now because it is costing us much?” or “If we had to do it again, what should have we done?” This is not a blame game, or a whining session; just identify high level structural issues, the key design decisions from the past that have turned to technical debt today. For identified tech debt items, give not only estimates of the cost to “reimburse” them or refactor them (in staff effort), but also estimate of the cost to not reimburse them: how much it drags the progress now. At least describe qualitatively the impact on productivity or quality. This can be assisted by tools from your development environment, to look at code churn, and effort spent. At each development cycle, try to constantly reduce some of the technical debt by explicitly bringing some tech debt items into your iteration or sprint backlog. Refine in your issue tracker the TechDebt category into at least 2 subcategories: simple, localized, code-level debt, and wide ranging, structural or architectural debt. For your major kinds of technical debt, identify the root cause –schedule pressure, process or lack of process, people availability or turn over, knowledge or lack of knowledge, tool or lack of tool, change of strategy or objectives– and plan specific actions to address these root causes, or mitigate their effect. Acquire and deploy a tool that will give you hints about structural issues in your code: dependency analysis. If you are actively managing risks, consider bringing some major tech debt items in your list of risks. 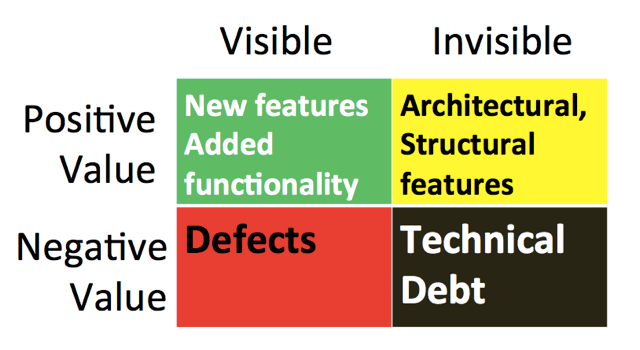 In software-intensive systems, technical debt consists of design or implementation constructs that are expedient in the short term, but set up a technical context that can make a future change more costly or impossible. Technical debt is a contingent liability whose impact is limited to internal system qualities, primarily maintainability and evolvability. At a recent workshop, at XP 2014, we looked into practices that support scaling up agile, and in particular the role of architecture. The Architecture (A) of the system under design, development, or refinement, what we have called the traditional system or software architecture. The Structure (S) of the organization: teams, partners, subcontractors, and others. The Production infrastructure (P) used to develop and deploy the system, especially important in contexts where the development and operations are combined and the system is deployed more or less continuously. 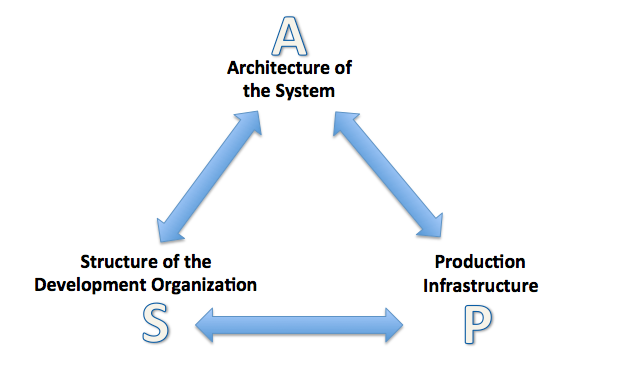 These three structures must be kept aligned over time, especially to support an agile development style. We can examine the alignment of these structures from the perspective of A and the role of the architect in an agile software-development organization. The relationship of A to S is also known as (socio-technical) congruence and has been extensively studied, especially in the context of global, distributed software development. It is akin to the good old Conway’s law. It is very pertinent at the level of the static architectural structure (development view), where a development team wants to avoid conflicts of access to the code between teams and between individuals, while having clear ownership or responsibility over large chunks of code. When A is lagging, we face a situation of technical debt; when S is lagging, we have a phenomenon called “social debt” akin to technical debt, which slows down development. See what Ruth Malan wrote on the topic; in particular: “”if the architecture of the system and the architecture of the organization are at odds, the architecture of the organization wins”. 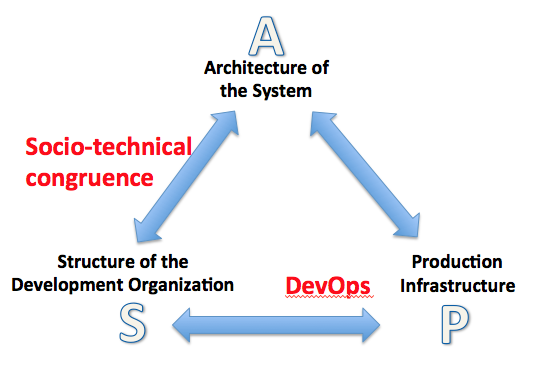 The alignment of A with P is seeing renewed interest with increased focus on continuous integration and deployment and the concept of “DevOps” combining the development organization with the operations organization, and having the tools in place to ensure continuous delivery or deployment, even in the case of very large on-line, mission-critical systems (e.g., Netflix, Facebook, Amazon). When P is lagging, we witness a case of “infrastructure debt” as described by Shafer in the Cutter IT journal, which is another source of friction. 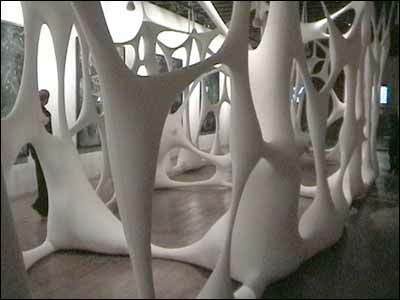 It is also explored by M. Erder and P. Pureur’s Continuous Architecture. A, S, and P must be “refactored” regularly to be kept in sync so that they can keep supporting each other. Too much early design in any of the three will potentially result in excessive delays, which will increase friction (by increased debt), reduce quality, and lead to overall product delivery delays. With my colleagues I. Ozakaya and R. Nord from the SEI, we’ve examined some of this conjecture in a paper to be published by Springer-Verlag later in the fall. I’ll add a DOI when it happens. The Software Engineering division of the Swiss Informatics Society is organizing a 2-day event on Technical Debt on January 23-24, 2014, at the University of Zürich. Tutorials on Thursday, presentations on Friday. Pick one, or both. I will participate on both days. Note that most of the presentations will be in English, even though the site is in German. Find details and registration, go here. The two are not the same: you can have a non-agile development process leading to a flexible, adaptable architecture, and vice versa, an agile process may lead to a rather rigid and inflexible architecture. One does not imply the other. But for obvious reasons, in the best of worlds, we’d like to have an agile process, leading to a flexible architecture. This naïve thinking about the spontaneous emergence of architecture is reinforced by the fact that most software endeavors nowadays do not require a significant amount of bold new architectural design: the most important design decisions have been made months earlier, or are fixed by current pre-existing conditions, or are a de facto architectural standard set-up in this industry. Choices of operating system, servers, programming language, database, middle ware, and so on are pre-determined in the vast majority of software development projects or have a very narrow range of possible choices. There is in fact little architectural work left to be done. Architectural design, when it is really needed because of the project novelty, has an uneasy relationship with the traditional agile practices. Unlike functionality of the system, it cannot easily be decomposed in small little chunks of work, user stories or “technical stories”. Most of the difficult aspects of architectural design are driven by non-functional requirements, or quality attributes: security, high availability, fault tolerance, interoperability, scalability, etc, or development related (testability, certification, and maintainability) which cannot be parceled down, and for which tests are difficult to produce up-front. Key architectural choices cannot be easily retrofitted on an existing system, by means of simple refactorings. Some of the late decisions may gut out large chunks of the code, and therefore whether the agilists like it or not, much of the architectural decisions have to be taken early, although not all at once up front. Many have grappled with the issue of marrying an agile approach and a need for having a solid architecture. Alistair Cockburn and his “walking skeleton” or the Scaled Agile Framework (SAFe) by Dean Leffingwell & co. The most common thinking nowadays is that architectural design and the gradual building of the system (i.e., its user visible functionality) must go hand-in-hand, in subsequent iterations, and the delicate issue is actually: how do we pace ourselves, how we address architectural issues, and make decisions over time in a way that will lead to a flexible architecture, and enable developers to proceed. In which order do we pick the quality attribute aspects and address them? As for an agile architecture, the concept is not new: evolvability, software evolution, re-engineering of existing systems have been studied and understood for a long time. Manny Lehman started this circa 1980 . The word agile here is just new paint on an old concept. The book by Simon Brown, Software architecture for the developers , is a nice example of agile architecting, while the book by Jason Bloomberg, The agile architecture revolution , is a good example of agile architecture. Agile Alliance, Manifesto for Agile Software Development, June 2001 http://agilemanifesto.org/. N. Séguin, G. Tremblay, and H. Bagane, “Agile Principles as Software Engineering Principles: An Analysis,” vol. 111, Lecture Notes in Business Information Processing, C. Wohlin, Ed. Berlin Heidelberg: Springer, 2012, pp. 1-15. M. M. Lehman, “Programs, lifecycles, and laws of software evolution,” Proceedings of the IEEE – Special issue on software engineering, vol. 68(9), pp. 1060-1076, 1980. J. Bloomberg, The agile architecture revolution, Wiley CIO, 2013. S. Bellomo, P. Kruchten, R. L. Nord, and I. Ozkaya, “How to agilely architect an agile architecture?,” Cutter IT Journal, vol. 27(2), pp. 12-17, Feb. 2014. One of the most critical questions about software architecture is what is its actual value? As software development processes focus more and more on value delivered to end-users and time-to-market, the difficulty in assigning an actual value on the effort spent working on the architecture makes it much harder for software architects to convince project managers or product owners (or whomever represent the customer) to spend much effort on architecture-related activities, leading often rapidly to a large amount of technical debt . The green stuff: the most obvious items are new features (services, functionalities, capabilities) to be added to the system; sometimes visible improvements in some quality attribute (capacity, response time, interoperability). Both have a cost to implement, and some tradeoff has already to be negotiated between parties here: how much defect fixing relative to new features can we afford to do? The yellow stuff: architectural elements, infrastructure, frameworks, deployment tools, etc. Known to the internal development team, and architects, they often are deferred in favour of more green or red stuff. Their cost is often very lumpy: they are hard to break down to small increments. We do know that they add value, in the long term, by increasing future productivity and often key quality attributes. But this value is hard to define. Finally, the black stuff: there are elements that have both a negative value, and are invisible: big lumps of technical debt. They are the result of earlier architectural decisions that were wise and optimal at the time, but which in the current context are clearly suboptimal and hurt the project in several ways: usually by reduced productivity, or impact on the evolution of the system. The black stuff is known by the development team, but rarely expressed visibly at the level of key decisions makers who decide the future release roadmap. Short cuts or omission to develop the yellow stuff increases the amount of black stuff, further preventing progress. A compounding factor is that the various elements have many dependencies between them, especially dependencies of the green and red stuff on the yellow or black stuff. The tradeoffs between the various colours is now much more complicated and require diverse expertise, not just market value. Time plays a crucial role, too: the value of delivering a new feature is immediate; whereas the value of developing a good architecture may be reaped only over a long period of time. The key issue is how much value is there in the yellow and black stuff? What is really the value of software architecture? Some economic concept such as Net Present Value, combined with dependency analysis should be able to reconcile all four colours in making development choices for the future, short- or long-term. The Incremental Funding Method by Mark Denne and Jane Cleland-Huang is a step in this direction . Real Options could be another one . P. Kruchten, R. Nord, and I. Ozkaya, “Technical debt: from metaphor to theory and practice,” IEEE Software, vol. 29(6), pp. 18-21, 2012. M. Denne and J. Cleland-Huang, “The Incremental Funding Method: Data-Driven Software Development,” IEEE Software, vol. 21(3), pp. 39-47, 2004. K. J. Sullivan, P. Chalasani, S. Jha, and V. Sazawal, “Software Design as an Investment Activity: A Real Options Perspective,” in Real Options and Business Strategy: Applications to Decision Making, L. Trigeorgis (ed. ), Risk Books, 1999. P. Kruchten, “What colours is your backlog? (slides),” 2009 (updated 2013). Video here.